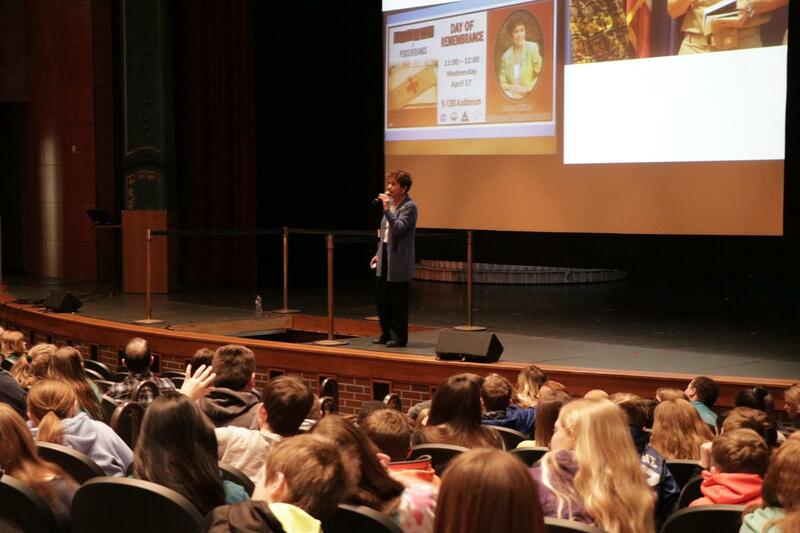 It’s a time students learn about in social studies and history, but the horrors of the Holocaust came to life in a new way when survivor Irene Miller visited Otsego. She was just 5 years old when World War II began and Nazis started capturing Jews; Irene Miller is a part of the 10% of children who managed to survive. 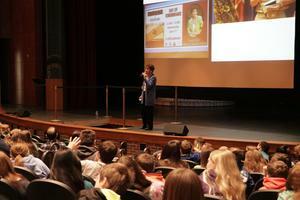 She shared her story of escaping bombs, raids and taking refuge at the Soviet border. They thought they found safety in Russia at one point, but were eventually captured and taken away with hundreds of others in a cattle car, spending weeks on the train to their destination. She and her family were separated multiple times in the five years and her father died from dysentery when they were confined. Her mother found an orphanage for her and her sister where they would be in one room with 100 other children in deplorable conditions. She remembers sounds of soldiers, the starvation they endured and the sicknesses and death that surrounded them during that time. When the war was over, she and her sister were able to go back with their mother and they eventually moved to Israel, where it would be safer for them. Their journey led them to the United States where she has lived for decades. 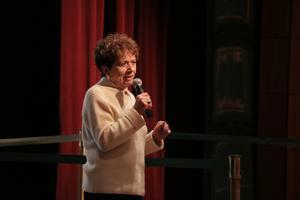 She was married and had children, earned masters degrees and has written a book of her Holocaust experience. She said it’s important to tell the stories so children, who will be future leaders, understand what happened and can keep it from happening again. She also wanted to share with the students that no matter how bad their situation seems, they can pull through and survive anything.